Strikers and Wingers are key to attacking in FIFA 19. 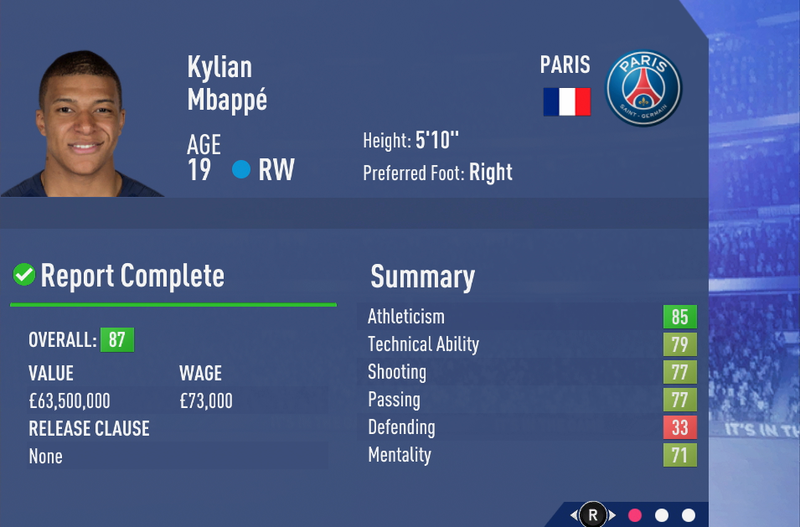 In this guide to the best young strikers in FIFA 19 and the best young wingers in FIFA 19 we'll detail the best you can buy for your squad in FIFA 19 Career Mode. Read on for FIFA 19's best young ST, RW, LW players with highest potential, and their respective stats and attributes. For more FIFA 19 goodness, head over to our FIFA 19 Guides Hub. It’s got info on a bunch of different FIFA 19 topics. From FUT 19, to a look at the PC specs, we’ve got you covered. We’ve gathered the best young ST, LW and RW FIFA 19 players in the list below. Keep a look out for high pace stats, plus strength and shooting. Height can also be a key attribute depending on how you play. In terms of young left wingers, you should go for Justin Kluivert. He has high potential and real room for growth. For a cheap bet, go for Jota Diego. LW players can contribute greatly to your team's goal tally, so don't cheap out on players who occupy this position. Malcom should definitely be on your radar, given how high his ratings can climb. He'll be expensive though, so make sure you bring your transfer negotiation A-game. Keep a look out for players who can switch sides and who are comfortable playing in the middle. This versatility is a great attribute to have in a squad in FIFA 19. For Strikers, we'd go for Jesus. He has one of the highest potential ratings in the game, and starts at a solid 81 rating. Strikers are the superstars of world football, and as such tend to go for silly money in FIFA 19's transfer window. It's worth investing as much as you can, here though, as if you want goals a great striker is essential.